Once Summer rolls around, chances are you aren't going to want to slip into a pair of long-legged jeans. Instead of simply hacking off the legs for a pair of cutoffs, try these methods for turning jeans into a fabulous skirt. It's a great way to recycle old jeans, or just reinvent your look. 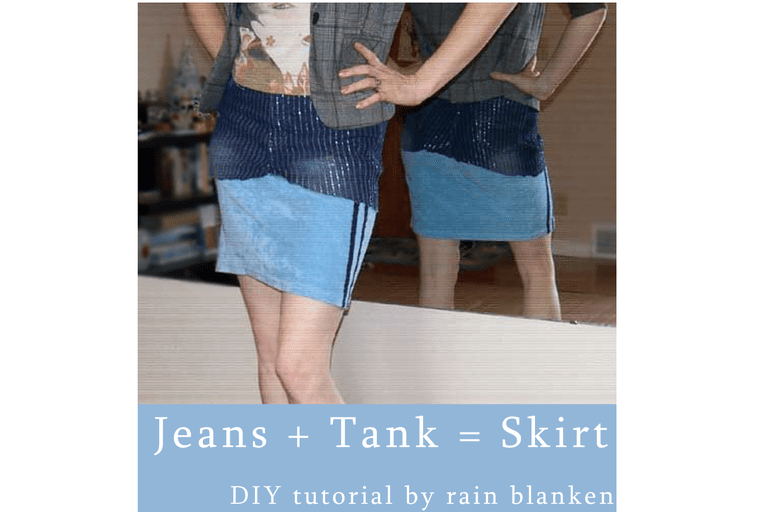 Create a layered skirt using a pair of old jeans and a stylish tank top. It's an easy sewing project with infinite possibilities. I used a tank top, but you can use a graphic tee or even a sweater. Transforming jeans into a short skirt is probably the easiest way to recycle your pants. You can get rid of the frayed ends of the pant legs, yet still keep the stylish pockets and fit. In this tutorial, the crotch seam of the pants is turned and sewn flat for the absolutely most simple of jean skirt projects. Debbie Colgrove, our Guide to Sewing, has step-by-step instructions for making a simple mini-skirt out of old jeans. Erin Huffstetler, our Guide to Frugal Living shows us how to insert fabric to add a splash of color to a jeans skirt. You can add any fabric, but I recommend using something in comparable thickness to the jeans material to make sure that the skirt hangs well. For a wider jeans skirt, you can split the jeans all the way up the back and insert fabric from the legs. This makes for a more modest skirt that swishes at the hips and spins out nicely while dancing. This can also help the skirt to better fit on the hips and offer more freedom of movement. Dress up a recycled jeans-to-skirt project with a ruffle. This cute jeans skirt variation has a pleated ruffle on the bottom that is easy to add to any denim jeans skirt project. 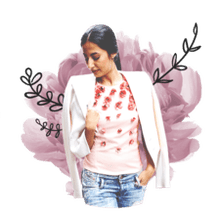 Minimal sewing experience is required to achieve this look, and you can use any fabric to coordinate your look. Not only can you make a sweet skirt out of old jeans,but you can also craft a purse, a bracelet... even a yoga bag. Check out all these easy ways to reuse your jeans. More How-To Skirts: Tailor your prom dress or just make a skirt shorter. With these free skirt projects, you can put together skirts from scratch or liven up the one you've got. Put together your own style when you start from scratch. Even without sewing experience, these tutorials are easy to master. Turn old jewelry into new style with these quick tutorials for beginners.